I wanted this watch for quite awhile. When it appeared on Overstock, I bought it right away. Gorgeous in person. I took it to a jeweler who confirmed that the diamonds are real, of clear quality and that the watch is authentic. It does have some very small scratches, but it was so much cheaper than retail. Lovely, works perfectly. shipped directly to my home with no problems. 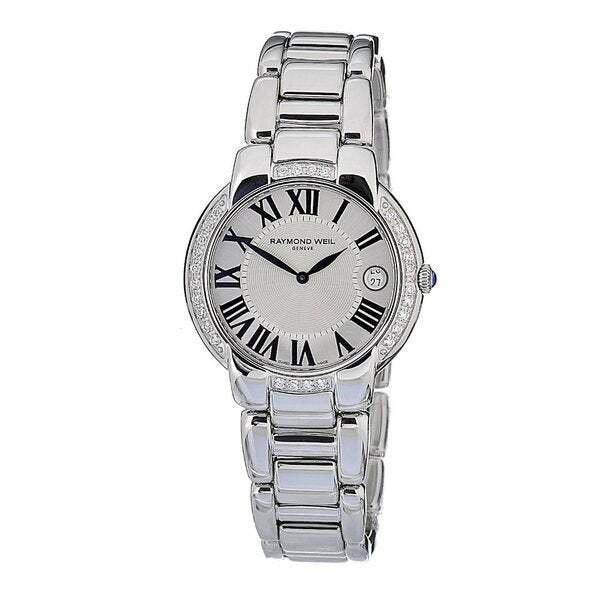 This stylish women's Jasmine watch from Raymond Weil features a stainless steel case with a matching polished steel bracelet. The brushed silver dial is a centerpiece for a diamond encrusted bezel and blue hands for easy time-telling.